From twitter: The U.S. economy added 304,000 new jobs in January. @POTUS @realDonaldTrump should highlight this positive economic news in his @SOTU address. More jobs, low unemployment. This reminds me that only as of November 2018 did Wisconsin meet and continuously exceed the goal of 250,000 new jobs that former Governor Scott Walker promised for January 2015. And as for that celebrated competition between Governors Dayton and Walker, well we know who won. Figure 1: Private nonfarm payroll employment in Minnesota (blue), in Wisconsin (red), both in logs, normalized to 2011M01=0. 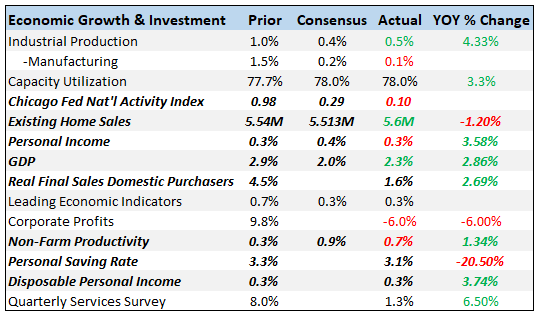 Green denotes yet to be benchmarked data. Source: BLS, author’s calculations. The U.S. economy added 304,000 new jobs in January. @POTUS @realDonaldTrump should highlight this positive economic news in his @SOTU address. More jobs, low unemployment. This reminds me that only as of November 2018 did Wisconsin meet and continuously exceed the goal of 250,000 new jobs that former Governor Scott Walker promised for January 2015. And as for that celebrated competition between Governors Dayton and Walker, well we know who won. Figure 1: Private nonfarm payroll employment in Minnesota (blue), in Wisconsin (red), both in logs, normalized to 2011M01=0. Green denotes yet to be benchmarked data. Source: BLS, author’s calculations.